Solution Saddles Customer Stories: Daisys performance has improved significantly since getting her SMART™ Eventer saddle. 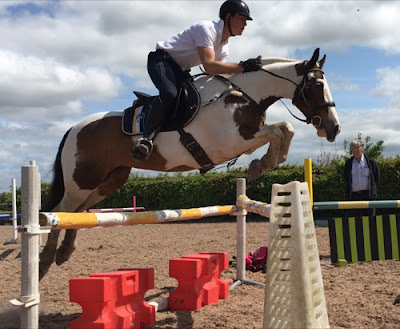 Daisys performance has improved significantly since getting her SMART™ Eventer saddle. 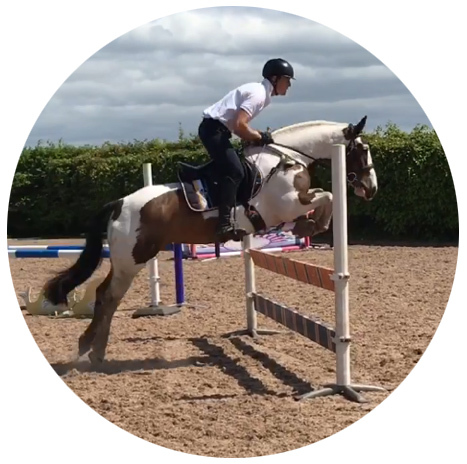 “Daisy is going so well in her SMART™ Eventer saddle, I am really happy with it. Daisy jumping in her SMART™ Eventer saddle with my coach. For the past year she has been grumpy when a saddle was put on her back, this was the only resistance she showed (she is obviously very stoic). It was brushed off by previous saddle fitters as not important. However, her performance has improved significantly since getting her SMART™ Eventer saddle and she no longer minds being tacked-up - to me that is a big clue to how important it actually was! An excellent representative from Solution Saddles conducted my test ride. Her attention to detail and willingness to go above and beyond to make sure the saddle was right for my horse, is the main reason I ended up purchasing from the company. I've found the customer service to be outstanding and refreshing after the issues I've had with other saddle companies.